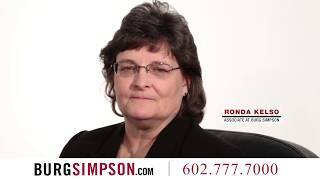 Ronda M. Kelso works with clients who have been injured as a result of medical negligence. Angela has a knack for seeing the way all the details of a case fit together and effectively communicate with clients during what otherwise be an intimidating process. Lewis A. Osterman is an associate in Burg Simpson’s Mass Tort Litigation Department. Medical malpractice is an incredibly complicated area of law that requires costly expert testimony, highly technical evidence, and hours of depositions. 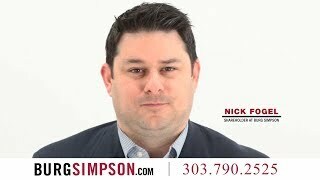 Burg Simpson’s Colorado medical malpractice attorneys are experienced and equipped to handle these complex cases. We have put together an expert team of nursing professionals and veteran medical experts to review the facts of all medical malpractice cases we take. Our Denver medical malpractice lawyers have handled dozens of these case over 40 years, winning more than a billion dollars in compensation while handling more than 10,000 cases. Because of our extensive staff of medical lawsuit attorneys, we represent clients nationwide. It does not make any difference where you are, we can help. Call us at 303-792-5595 or fill out a Free Case Evaluation form here. You can get to know all of our Attorneys here. 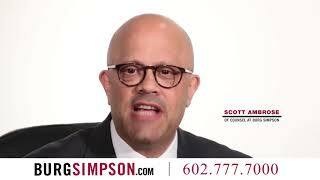 Please fill out the case evaluation form below and Submit Now, or call Burg Simpson directly at 720-644-0900 today, to speak with a Medical Malpractice Lawyer. The Denver Law Review presents its Volume 96 Symposium, Driven by Data: Empirical Studies in Civil Litigation and Health Law.